I took my bike and Sky to my friends house for a play day and when I posted about it I had lots of people asking how I knew Sky loved the bike. And did I like it? So I wrote this on Facebook and thought I should share it here too! Sky has been becoming more and more reluctant to be hitched to the cart. She will come meet me when I have the halter, she puts her nose in eagerly and will stand tied perfectly. When I harness her she is fine and engaged, but then when I would start to take her to the easy entry cart she would get sullen, argumentative and reluctant. I would barely be able to get her to stand in a way that I could get the cart on her. She would stand for the hitching, once I had the shafts in the shaft loops, but getting that far was a bit of a wrestling match. Then once she was hitched she would stand quietly until I asked her to move and then she was all fidgety and fast. She wouldn’t walk, but would trot and canter everywhere the entire time she was hitched. She was heavy on the bit and would shake and toss her head. I can’t really remember a drive were we weren’t trotting and cantering the entire time. A nice quiet country drive just wasn’t in the cards for us. I concluded that she no longer liked driving. Then the Hyperbike came. The first couple of drives with it were interesting because the shafts weren’t quite right and the balance wasn’t good. Sky didn’t like the shaft ends bouncing up and down in the shaft loops and I didn’t like having to sit forward in the seat. But she was improving on each drive. So much so that I was able to take the baby that I babysit on a drive! I never thought I would be able to do that with Sky! I figured I would have to wait for Mikey or Zorro to safely take the baby. Then I got my C shafts and everything just clicked perfectly into place. The balance is perfect. The ride is perfect. Sky is perfect. I mean she will WALK for an ENTIRE drive! We drove over 3 miles the other day here at home and she walked the entire time except for when I asked her to trot. I was AMAZED!! When we went to Molly’s yesterday to drive, Sky was trotting and walking and trotting and walking but doing so with her ears up and a positive outlook on the entire thing. Even Molly noticed. Sky didn’t have the anxiety that she has had for nearly every drive this year. It is noticeable. So that is why I think Sky likes the Hyperbike the most. My guess is that it is because it’s so lightweight and well balanced. I have worked hard to get my easy entry well balanced but I am always worried that it is putting a bit too much weight on her back. The suspension kit I got from Patty’s Pony Place was a total game changer and is probably the ONLY reason Sky could deal with the easy entry at all. I have a feeling that Mikey will do very well with the easy entry. It won’t be too heavy for him and will fit him much better. Though I won’t be surprised if he too prefers the Hyperbike. A question I get a lot is is the Hyperbike comfortable for ME? And the answer is a resounding YES! The seat is so comfy, I am very comfortable with my feet up. I leave my stirrups a bit long for my knee that hurts. My back never gets sore and I’m so relaxed in the Hyperbike. When the going is rough and bouncy I am totally comfortable and NEVER feel like I will fall out of the bike. So I am happier in the Hyperbike and Sky is happier in the Hyperbike. 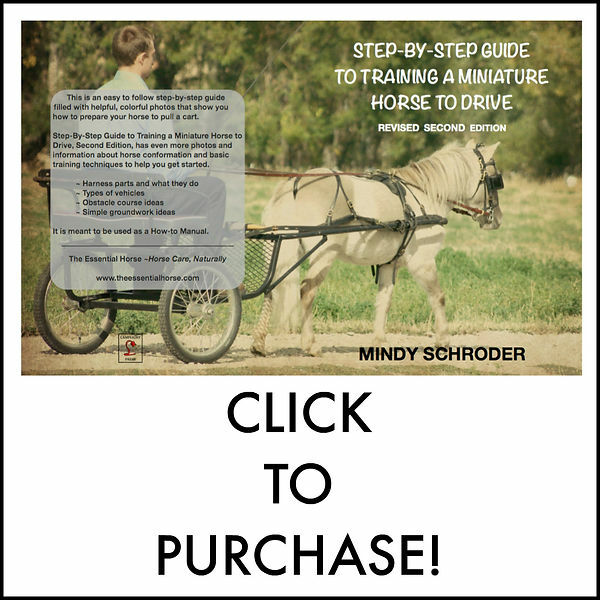 I still like my easy entry cart and it is going to be great for training both Mikey and Zorro to drive. It’s great for parades and such. But for the long drives, the hard drives, the trail driving and when I want to go somewhere else and drive, the Hyperbike will be my go to vehicle. This is my personal opinion. I am not trying to make anyone else wrong. Whatever vehicle you have is fine I’m sure. You decide what is best for your horse. I am only sharing what I have noticed with mine. So again this is my personal opinion and I’m not trying to make anyone feel wrong. I am also not saying the Hyperbike is the ONLY vehicle for minis. Please, use your own mind to decide what would be best for you and your mini. My Hyperbike should arrive tomorrow! After trying one I knew I had to have one. Reading about your adventures makes me even more excited to get my guy hitched up!